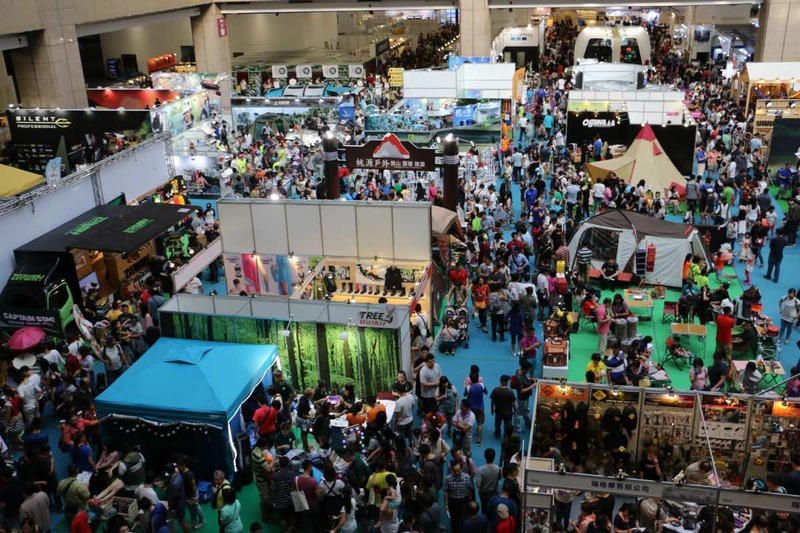 Are you planning on paying a visit to one of the biggest outdoor shows in Asia – the Taiwan Outdoor Show? If it’s written down in your calendar then there are some details you should acquaint yourself with before you arrive at the show, for instance, which exhibitors will be showcasing at the event. Considering there are going to be over 110 exhibitors at the show, it’s difficult to choose just a few. Nevertheless, we’ve prepared a list of the top brands that will be showcasing their latest products during the event. Treewalker is an outdoor brand that is extensively distributed across Australia, China, Taiwan, Japan, and Mauritius. Visit them at the outdoor show if you are interested in purchasing premium-quality sleeping bags or camping tables with chairs. Also, be sure to check out their inflatable chairs. Maybe the place to check out for a Coleman Pop-up Camper. Jack Wolfskin is going to be one of the most popular brands for outdoor equipment among the exhibitors at the show. Producing both casual and sportive clothing, its catalogue includes professional equipment for mountain climbing. Snow Peak is a growing Taiwanese brand, which is looking for international partners to export their unique outdoor gears worldwide. 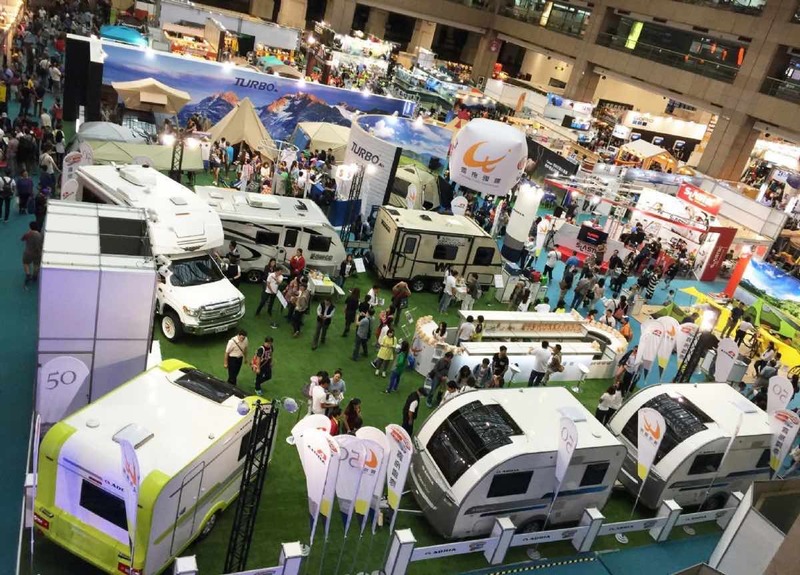 Take a closer look at the Snow Peak during the outdoor show, where its representatives will showcase various camping equipment, from tents and sleeping bags to lights and cookware. If you want to see the latest models of sleeping bags and tents then you should visit the Outthere exhibition booth. Their quality products have been the reason many outdoor enthusiasts choose only to buy their brand. Cypress Hill has a goal to improve the quality of goods for professional athletes and camping buffs. If you’re interested in products for joggers and yoga lovers, visit the corner of this company during the outdoor show in Taipei. Dwun Yuan cares about comfort. That’s why they produce comfortable camp chairs and easy-to-use tents. Also, they have a series of accessories with original patterns. Kyllien Outdoor has a wide selection of tents, mats, sleeping bags and picnic baskets. They will present their new and exclusive designs at Taiwan Outdoor Show so be on the lookout. Using equipment of world-known outdoor companies as prototypes, Morv Camping proved itself as one of the leaders in the Taiwanese market of goods for sports and camping gear. Find out why they’re considered among the best for camping and outdoor products by visiting their booth. Sun Own develops products for professional athletes and active people. Visit their booth to see their best hiking, biking and diving products, as well as camping and outdoor equipment. Ace Right delivers high-quality outdoor equipment for quality camping. Visit them to see the finest tents, pillows, cookware and other camping accessories. Outdoor Expeditions aims to turn your camping activities into an enjoyable outdoor adventure. They focus on different types of tents, sleeping bags, and portable chairs. If you’re interested in camping this is the brand to see. Taifong focuses on providing simple but useful outdoor equipment. Their tents are easy-to-use and longwearing. You can test them out on the show yourself. Life Code has plenty of products for an active lifestyle. At the outdoor show, they will present tents, airbeds, cooking tables and even outdoor pools for a maximum outdoor experience. You will surely need reliable cookware in the mountains and this is where Diarex comes in. They have created durable cooking stoves for an enjoyable cooking experience and delicious results while you’re hiking or enjoying the great outdoors. At the Taiwan Outdoor Show, you can meet and buy from manufacturers directly, find out more about the latest products and even try out some of the equipment. It’ll be an action-packed event suitable for individuals and families. You can register online for free. See you in Taipei!